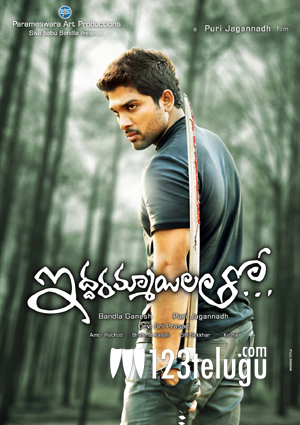 Stylish Star Allu Arjun’s ‘Iddarammayilatho’ is gearing up for a release this month and the movie is in the final stages of post-production. The film’s editing is complete and the final cut has been locked. The film’s editor, S.R. Shekkar, confirmed the news. Allu Arjun will be seen in the company of Amala Paul and Catherine Tresa in this movie. Puri Jagan is the director and Bandla Ganesh is producer of this big budget project. Devi Sri Prasad has composed the film’s tunes and the music has already become a big hit. The movie is expected to be a very stylish romantic entertainer. Rao Ramesh and Brahmanandam will be seen in crucial roles in this movie.